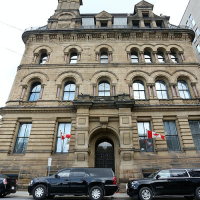 Kellie Leitch's spokesperson Michael Diamond says federal jurisdiction over guns is of great importance to many Conservative Party members and prospective members. 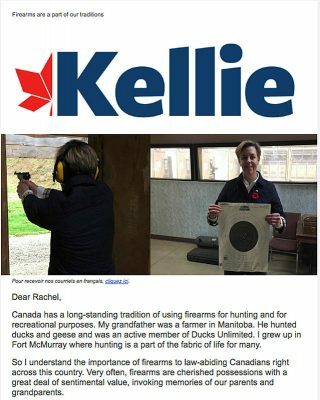 OTTAWA—Conservative Party leadership candidate Kellie Leitch’s email to supporters about her proposed firearm policies, which included a photo of her firing a 1972 Walther P1 handgun at a shooting range while discussing the “tradition of using firearms for hunting and for recreational purposes,” was intended to communicate to lawful gun owners who are important to the party, says her campaign. “Over the course of the campaign, and this is going to continue, we released various planks of our policy platform … and firearms is a matter of national policy. 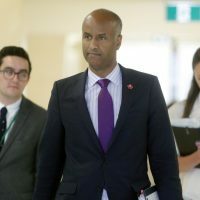 There is federal jurisdiction and it’s something that is of great importance to many Conservative Party members and prospective members,” said Michael Diamond, a spokesperson for Ms. Leitch’s (Simcoe-Grey, Ont.) 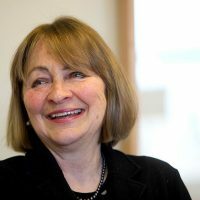 campaign in an interview with The Hill Times. 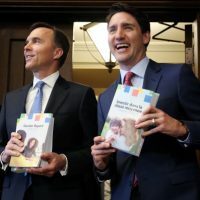 “It’s something that the federal government is always going to have to act on, so it’s important that a candidate for leader of a federal political party has a robust policy on firearms. And for Kellie Leitch it was important to communicate that directly to members and prospective members of the party,” Mr. Diamond said. 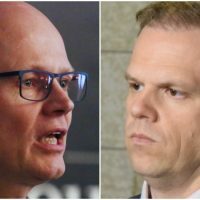 “We do know that overall in the Conservative Party of Canada, the gun constituency, the constituency of firearms, the community, is very important in the Conservative Party,” Mr. Diamond said. According to the 2015 Commissioner of Firearms report, 399,086 individual firearm licences were issued in 2015 and there were more than two million (2,026,011) individual licence holders in Canada as of Dec. 31, 2015. On March 17, Ms. Leitch sent an email to supporters showing her firing a 1972 Walther P1, according to the gun’s owner, and not the Walther P38 which two national gun associations had previously identified it as in an earlier story in The Hill Times. 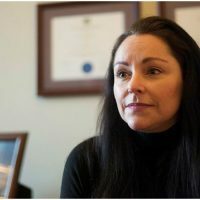 “We did not choose that gun purposefully for the email, we chose the photo for the photo, not for the firearm,” said Mr. Diamond, adding that he didn’t know the origin of the gun in question until hearing about it from Richard Wakefield, the owner of the gun that Ms. Leitch is pictured shooting. Mr. Wakefield told The Hill Times that the gun does look “identical” to the P38, which was used by the German Army in World War II, but said the gun is a Walther P1 from 1972. A screen-capture of the email Kellie Leitch sent to supporters on March 17. 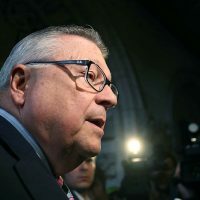 In the blast she sent to her Conservative Party supporters that contains the photos, titled, “A common sense approach to firearms regulation,” Ms. Leitch talked about the “long-standing tradition” of recreational firearm use in her family. 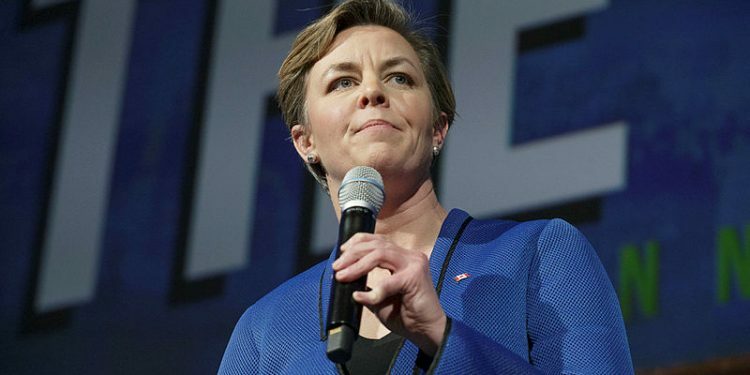 Ms. Leitch said she supported former prime minister Stephen Harper’s decision to scrap the long-gun registry, and promises, as prime minister, to never institute another. 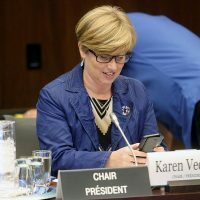 She also stated that long-guns should be recognized as personal property; the classification system should be replaced with “clear objective criteria” for gun owners; firearms classifications should not be under the sole purview of the RCMP, but should be made by Canadian citizens who are gun users, as well as law enforcement; and gun licenses last for 10 years, not the current five years to reduce paperwork for gun owners. 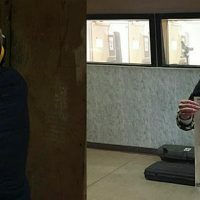 Mr. Wakefield, who is a supporter of Ms. Leitch’s campaign, told The Hill Times that he had invited Ms. Leitch to come to the East Elgin Sportsman Association Range in Alymer, Ont., in November. “She was firing a number of my firearms and I explained what each one of them was,” Mr. Wakefield said. Among the guns she fired that day were a 1913 Luger from World War I, and an AR15, which he said was the gun used on the target Ms. Leitch is seen holding in another photo in the email. “Just about every candidate has been invited to a range to do some shooting,” Mr. Wakefield said. 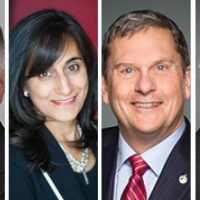 Conservative leadership contenders Andrew Scheer (Regina-Qu’Appelle, Sask. ), Erin O’Toole (Durham, Ont. 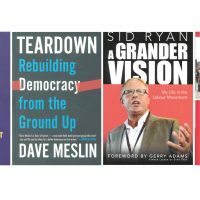 ), Steven Blaney (Bellechasse-Les Etchemins-Lévis, Que. ), and Brad Trost (Saskatoon-University, Sask.) 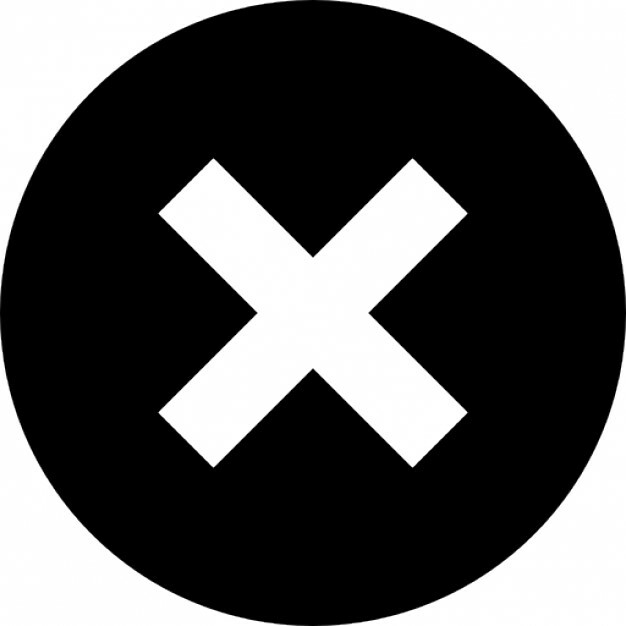 have done interviews with Calibre Magazine, a Canadian firearms publication about their gun policies since the leadership race got underway. “Canada has a long-standing tradition of using firearms for hunting and for recreational purposes. My grandfather was a farmer in Manitoba. He hunted ducks and geese and was an active member of Ducks Unlimited. I grew up in Fort McMurray where hunting is a part of the fabric of life for many,” Ms. Leitch stated in her email. 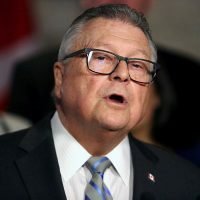 “So I understand the importance of firearms to law-abiding Canadians right across this country. Very often, firearms are cherished possessions with a great deal of sentimental value, invoking memories of our parents and grandparents,” she said in the email. 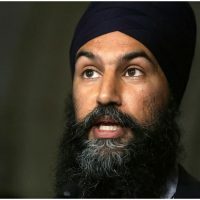 Ms. Leitch’s campaign said it could not confirm how much money it directly fundraised from the email campaign, but said the campaign’s fundraising quarter overall is close to raising $500,000. 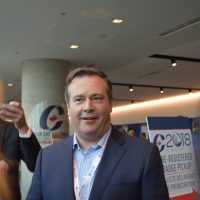 The deadline to register members with the Conservative party of Canada was midnight Tuesday and Ms. Leitch has registered 30,000 members.